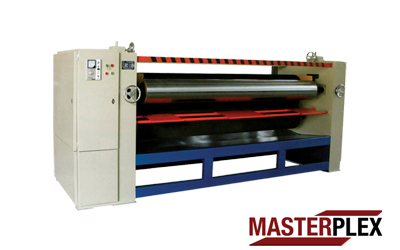 GS-9D – Glue Spreader 9′ (Double Face) dengan Main rubber rolls Ø350 x 2730 – 2 sets mm dan Doctor rolls Ø230 * 2730 – 2 set mm. GS-5S (Single Face) For uses in high viscous & thin spread situation. Small & smart design providing more working space. Working width 2700 mm. Doctor roller2 x Ø295 mm. 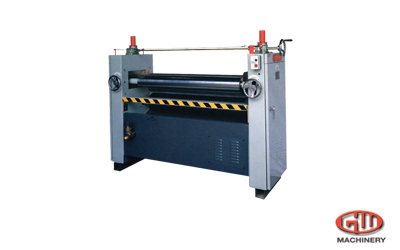 Rotate speed of glue roller 0 – 69 rpm. Rotate speed of doctor roller 0 – 17 rpm. Working width 2700 mm. 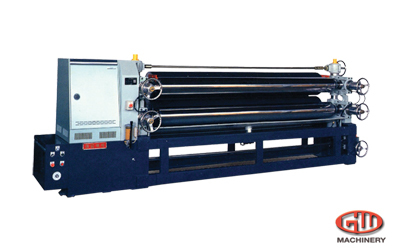 Glue roller Ø418 x 2700 mm. Doctor toller Ø295 x 2700 mm. 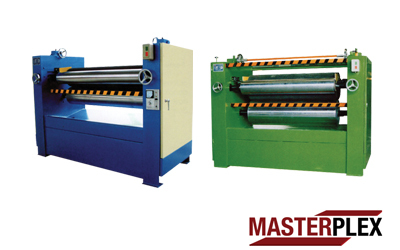 Rotation speed of glue roller 0 – 70 rpm. 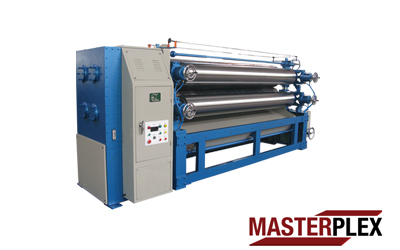 HBJ-4, This machine suits the slight glue spreading with high precision. The spreading is very evenly done and no horizontal lines occured.